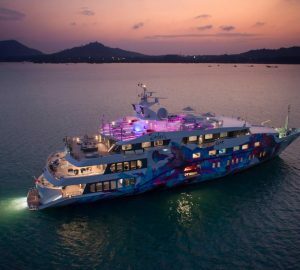 The majestic 2003 mega yacht SALUZI (ex Tia Moana) is a 69-metre all-aluminium, semi-displacement vessel, constructed by Austal from Australia. 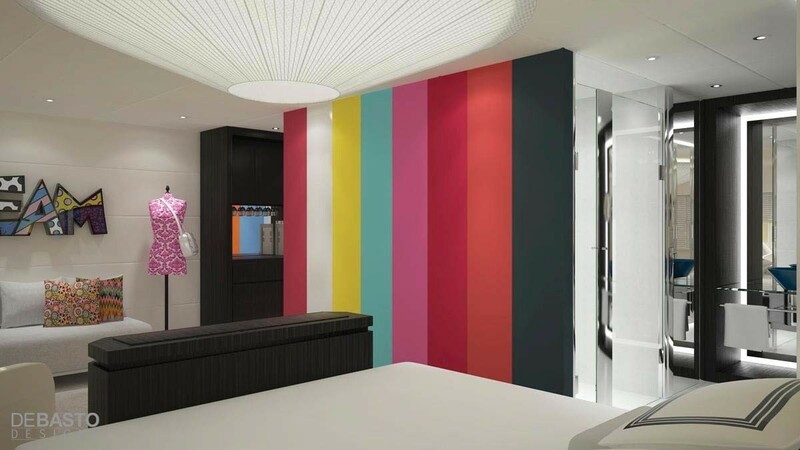 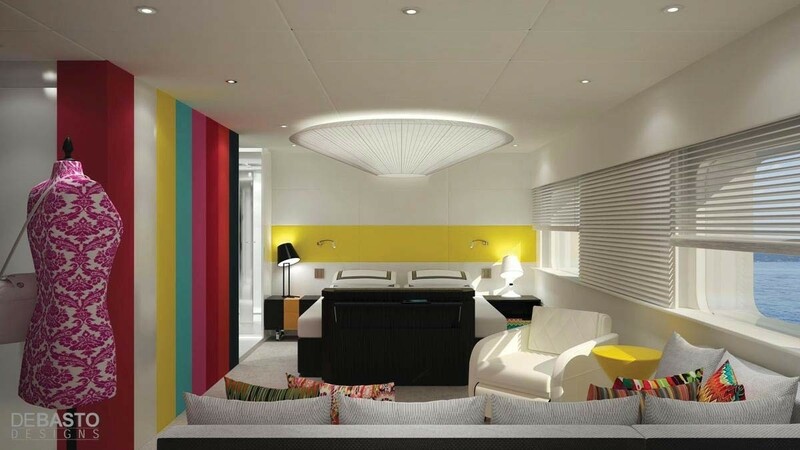 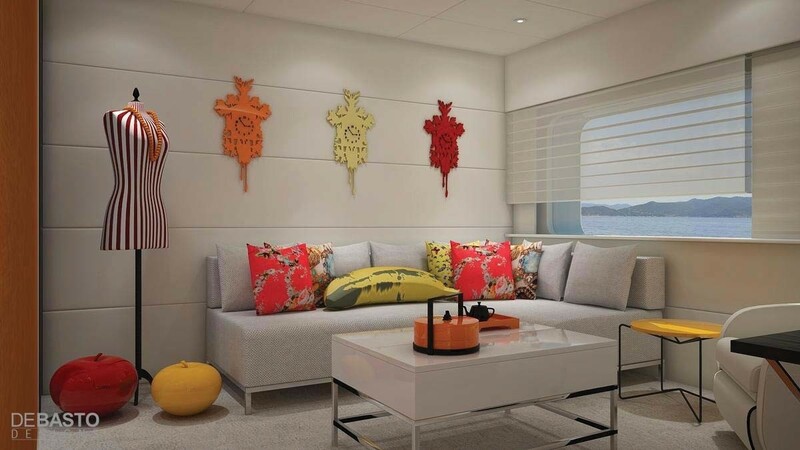 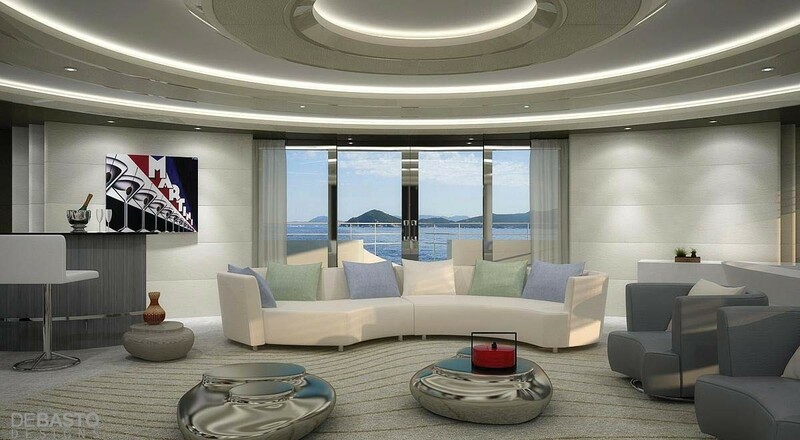 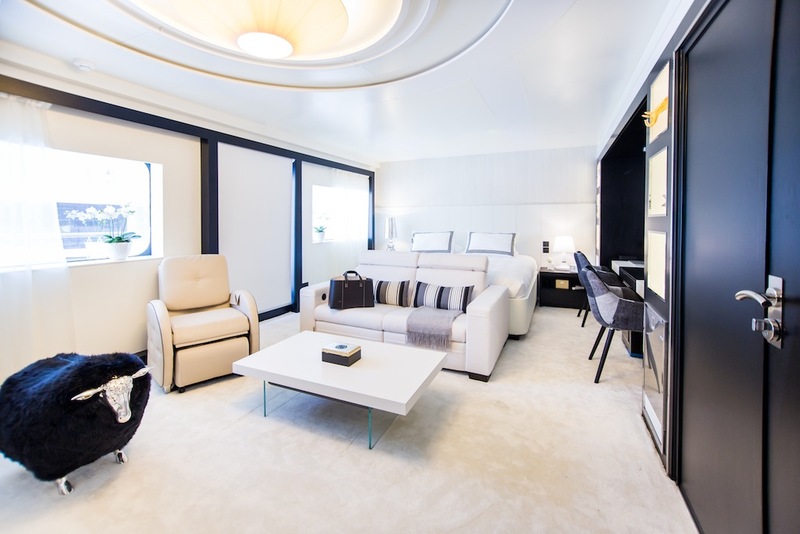 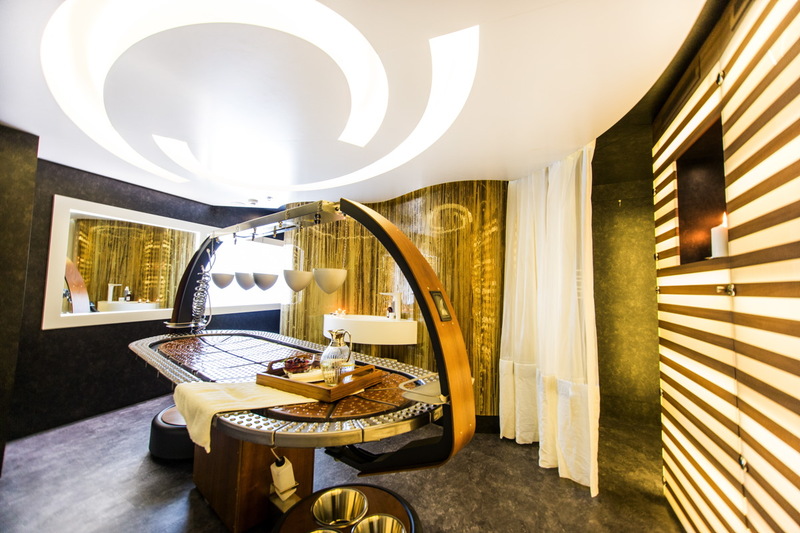 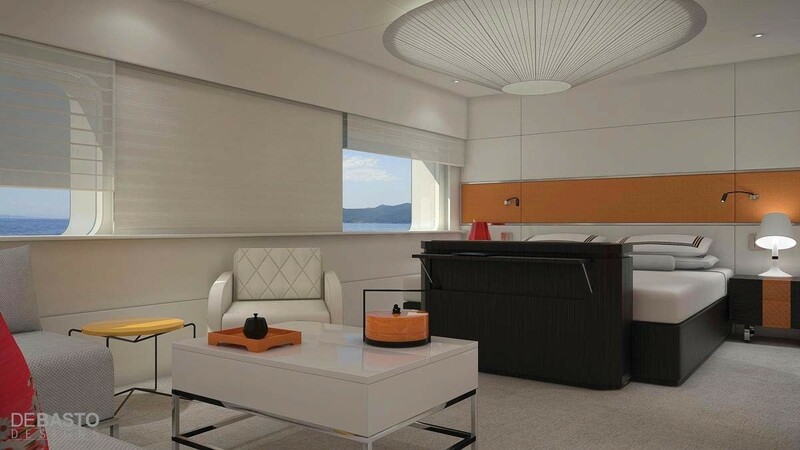 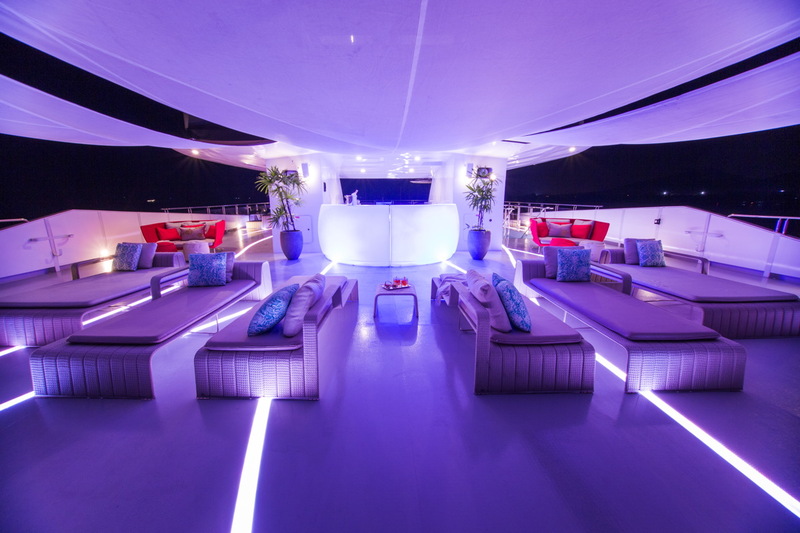 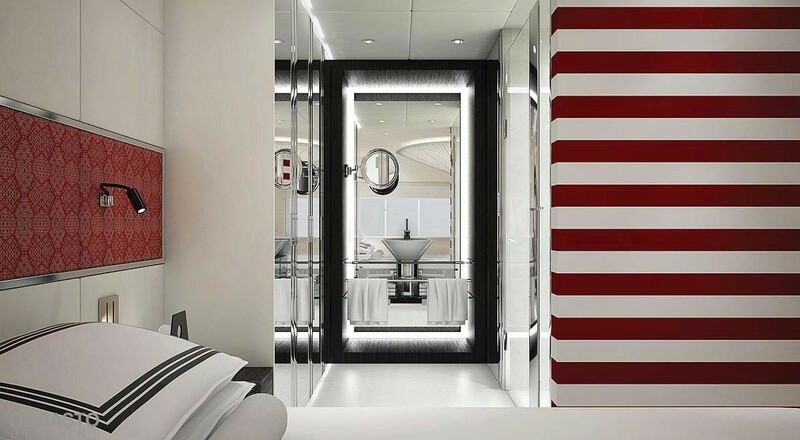 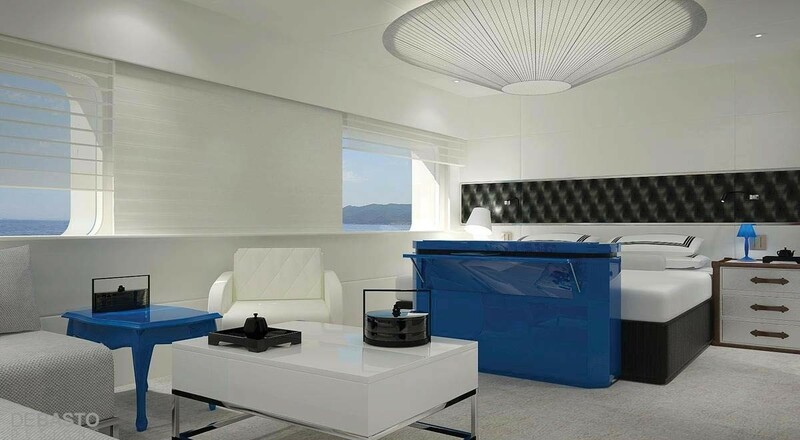 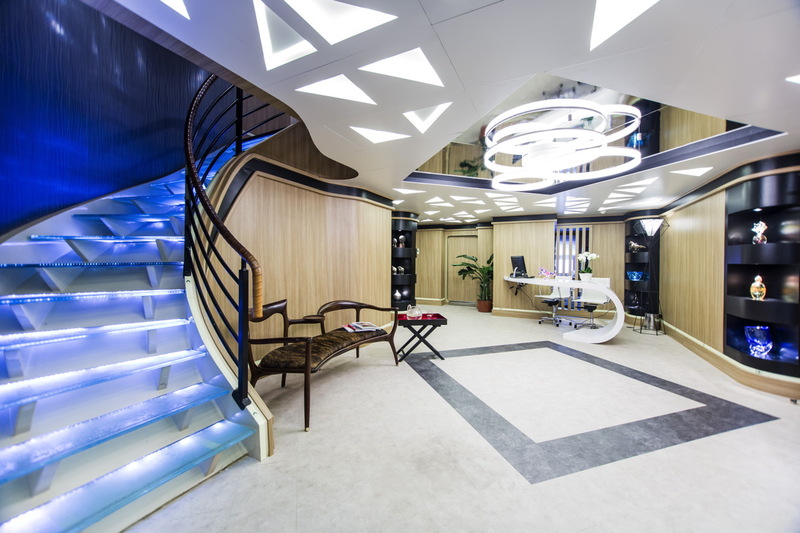 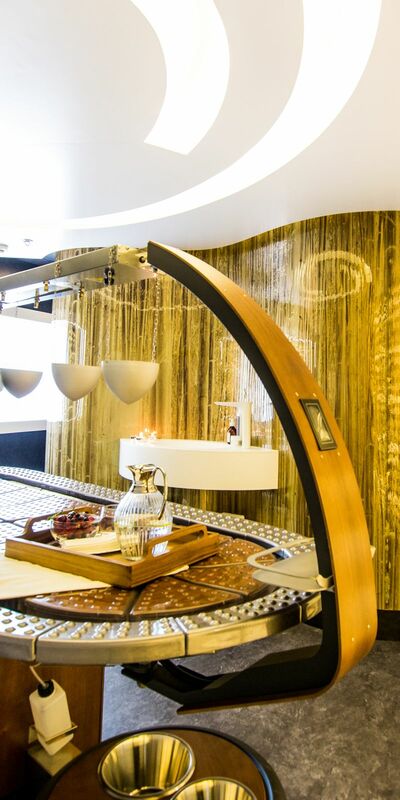 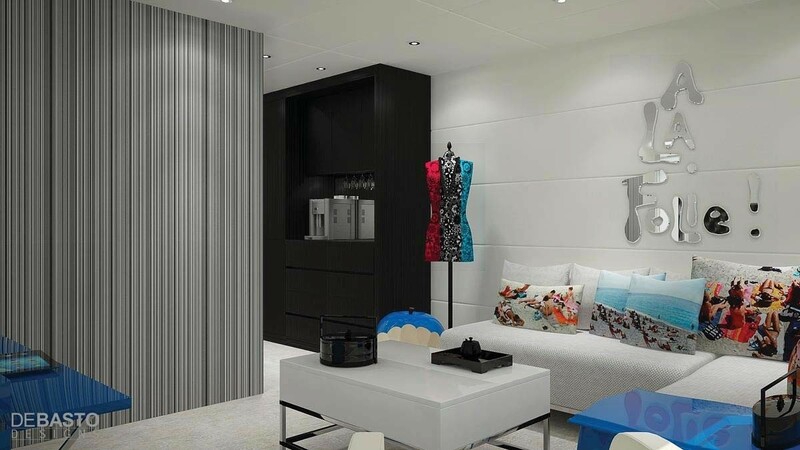 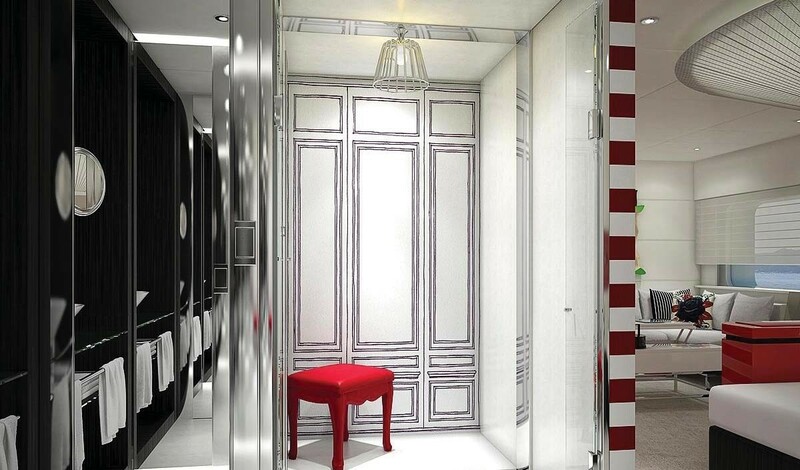 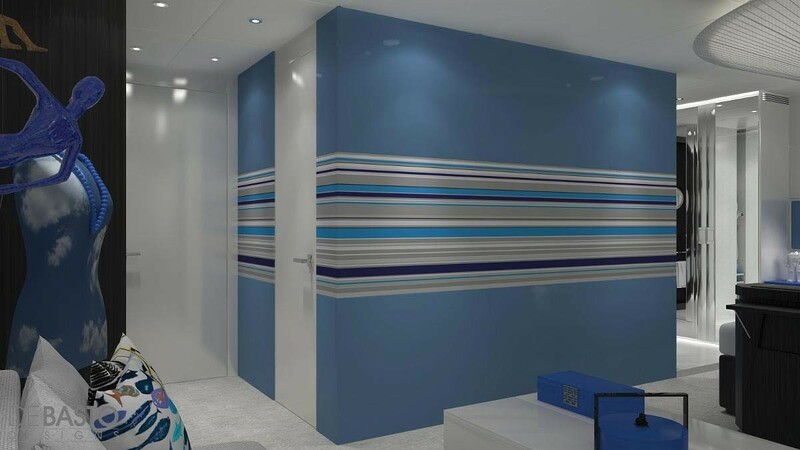 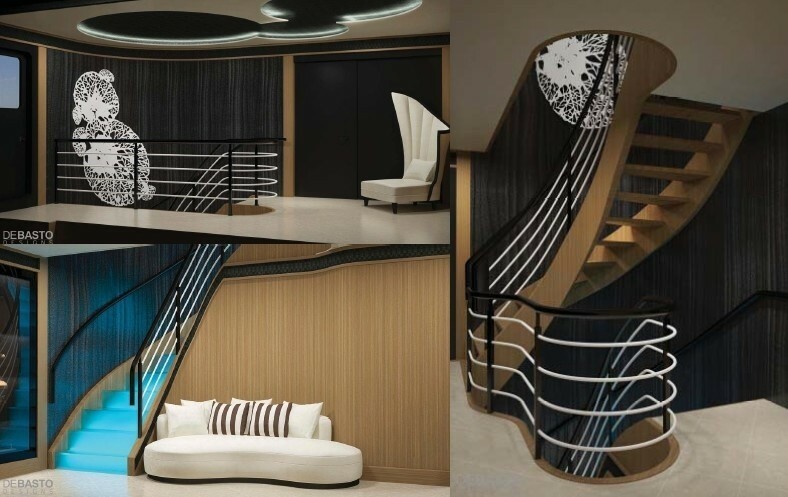 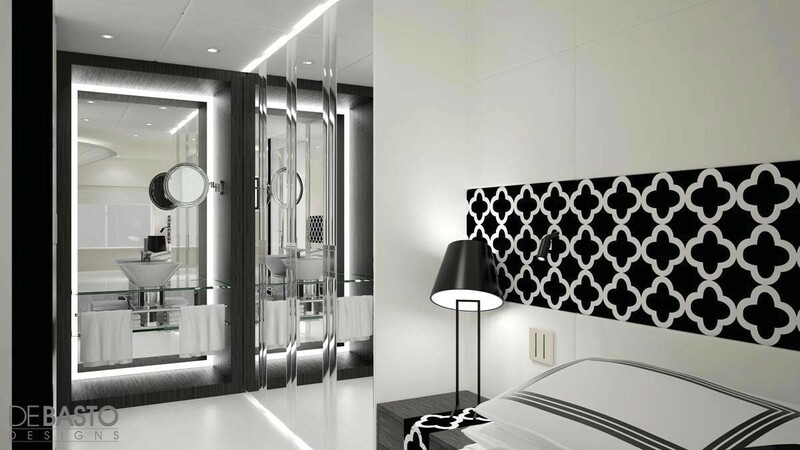 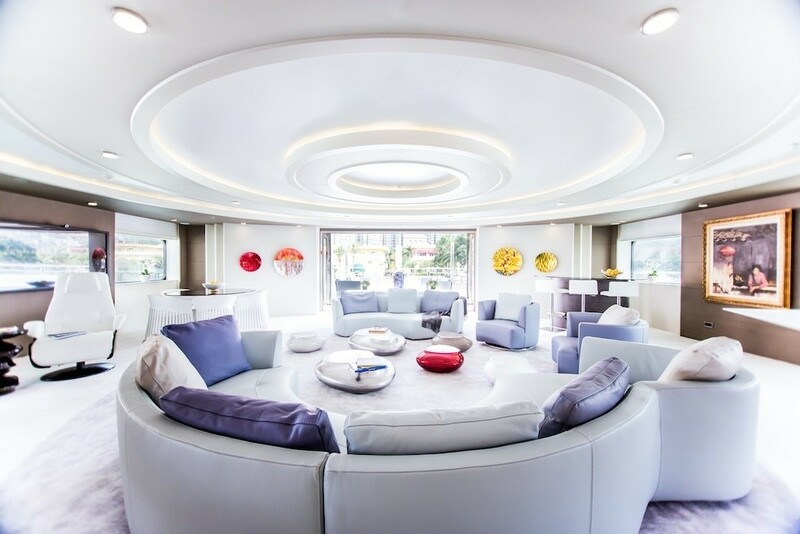 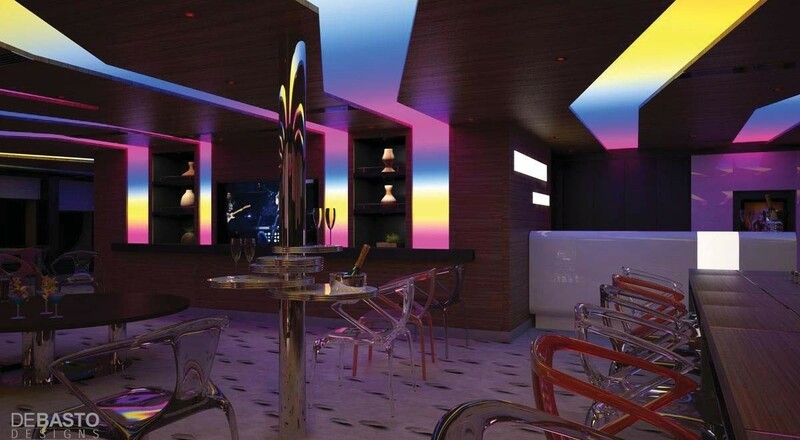 With the last refit by Horizon in 2013, luxury charter yacht Saluzi boasts lovely interior design by DeBasto Designs. She can accommodate 32 guests in 16 bright and spacious cabins. 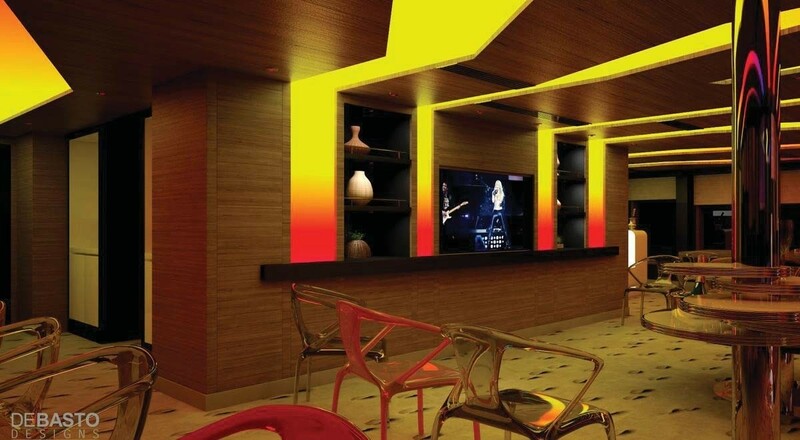 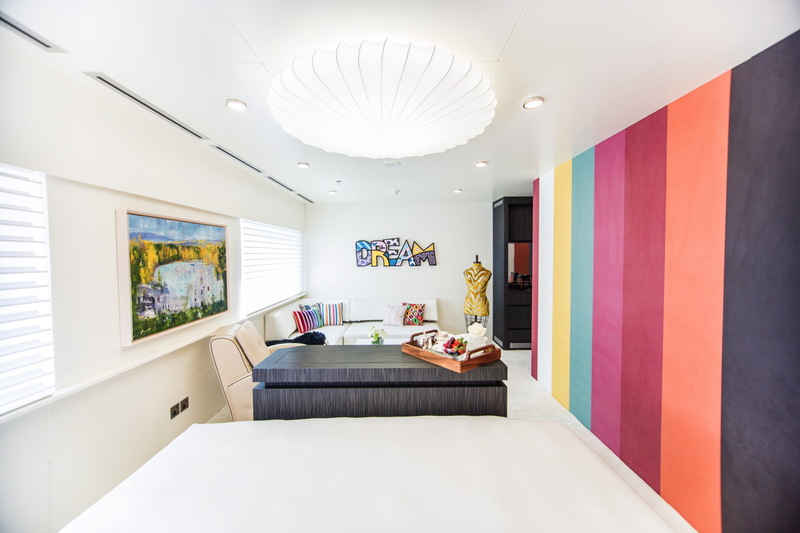 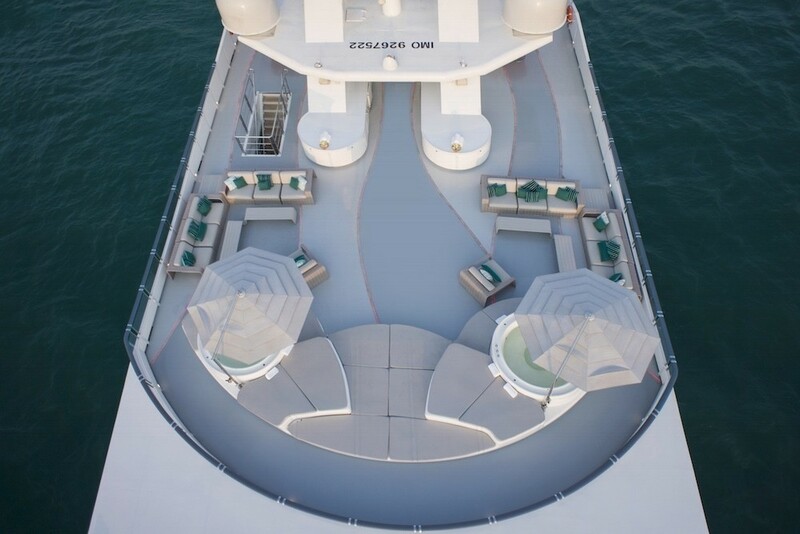 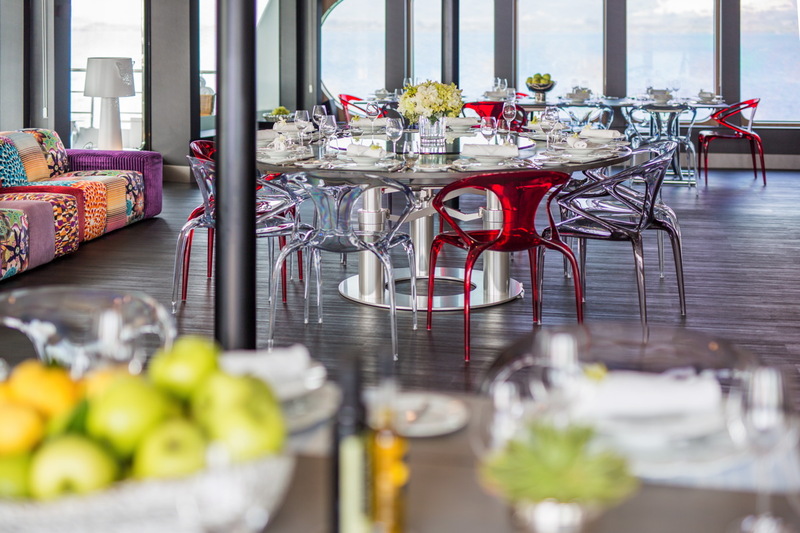 The main deck spreads over 490 sqm and is home to the gallery, and IT room, an office, a hospital as well as further guest accommodation, including five twin cabins, two double cabins and one VIP cabin. 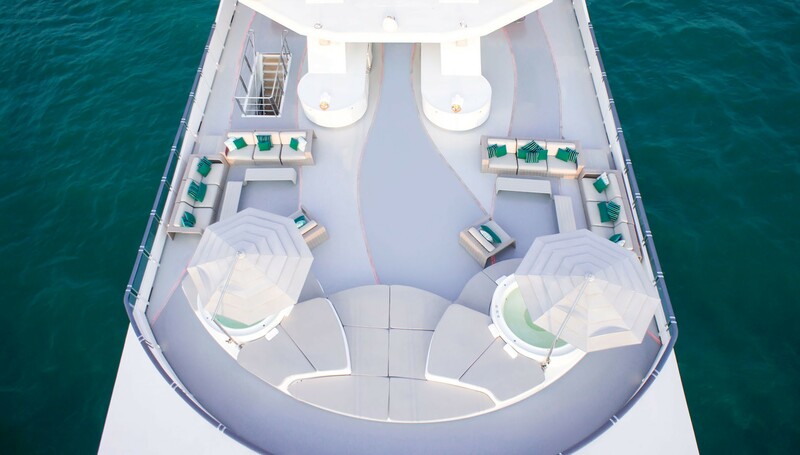 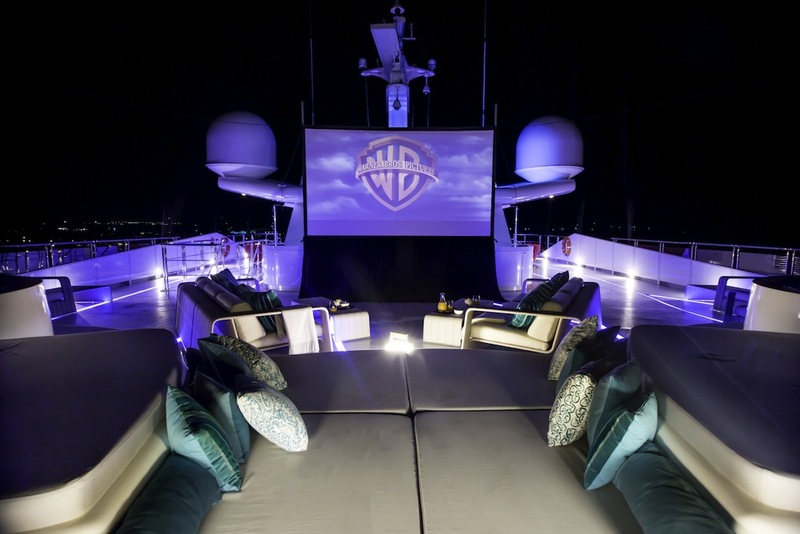 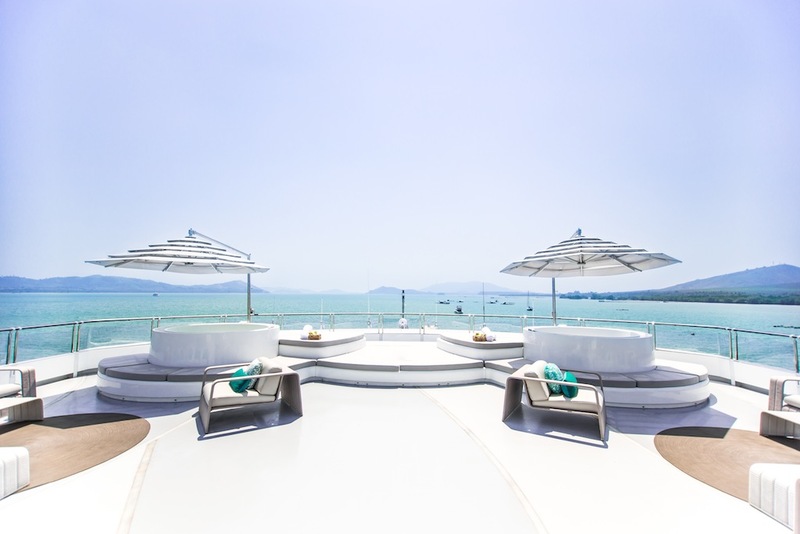 The expansive sun deck of 280 square metres features two Jacuzzis, a bar and an outdoor cinema. 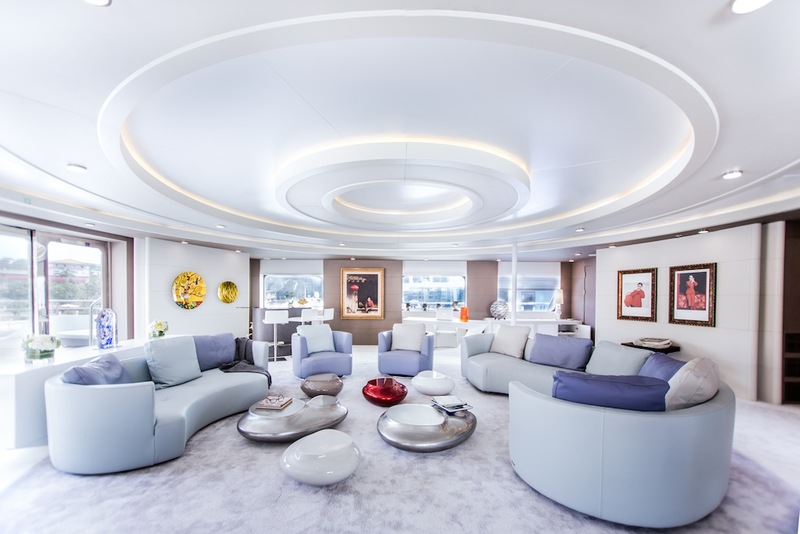 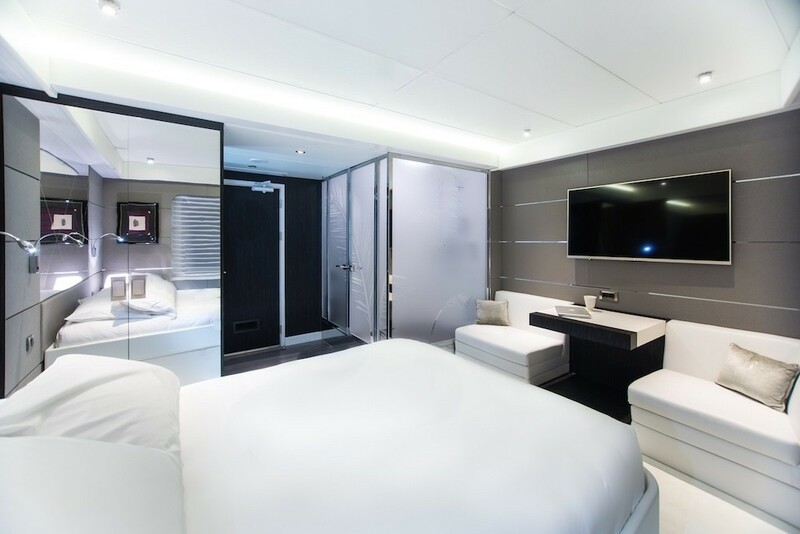 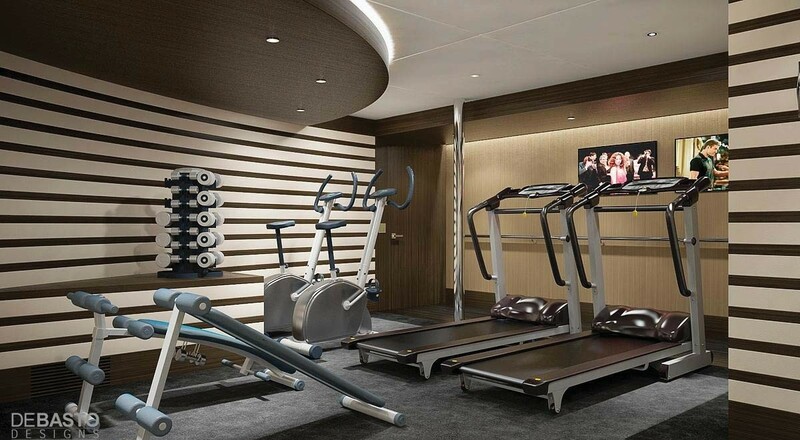 The bridge deck of 339 square metres has a comfortable saloon for socialising and is also home to two master staterooms. 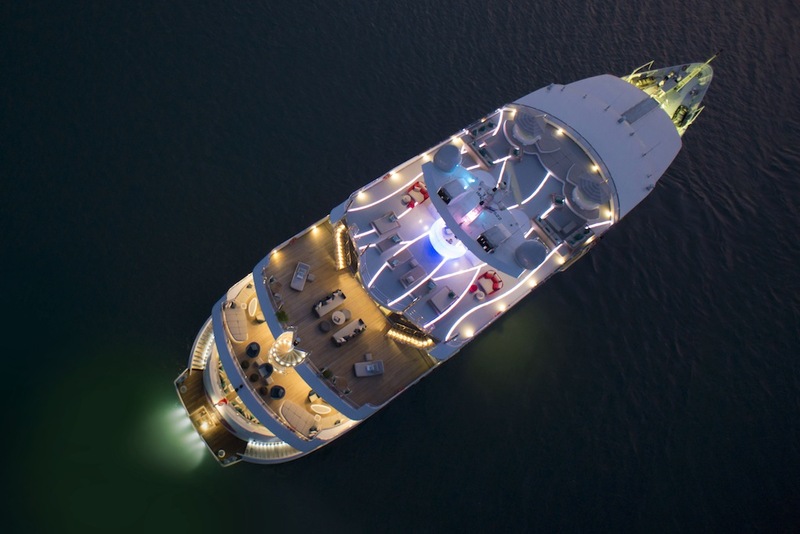 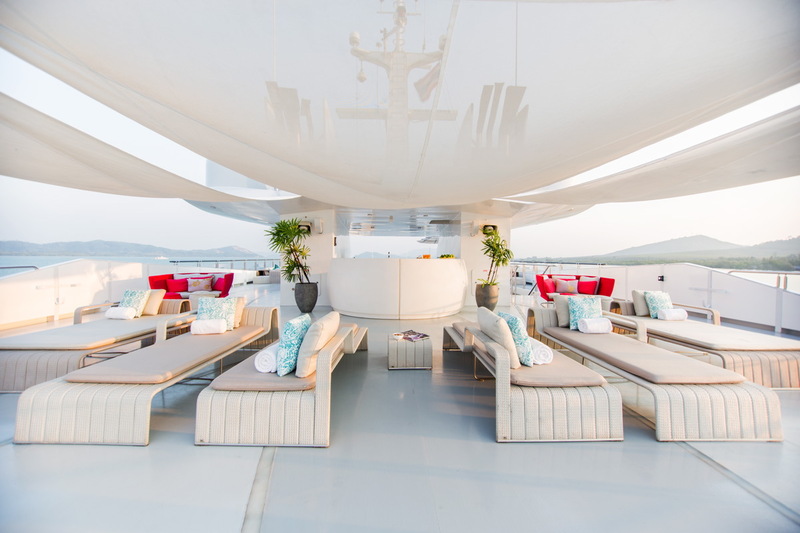 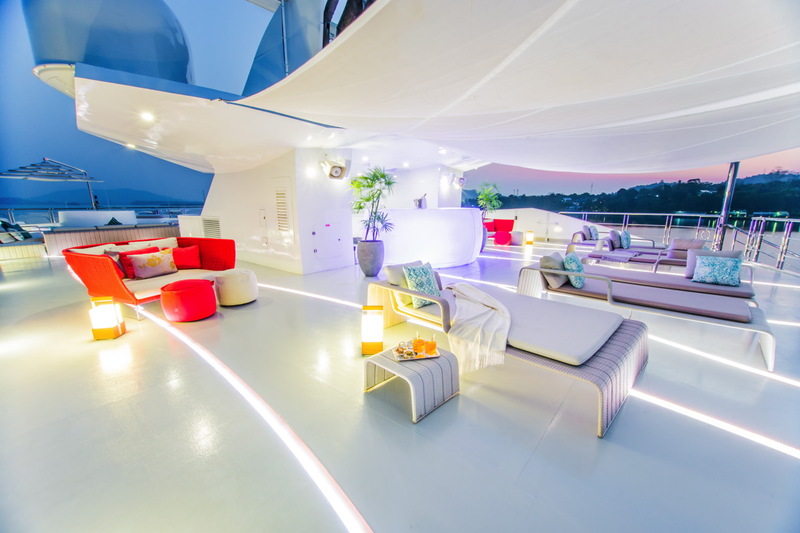 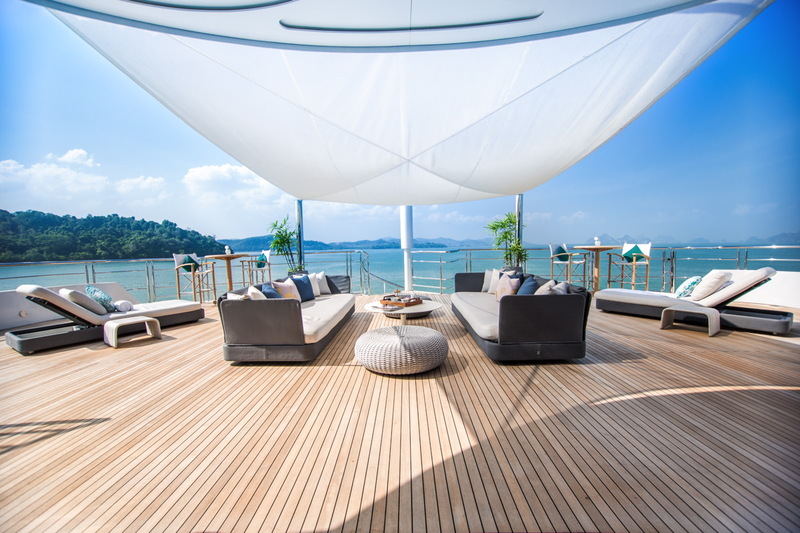 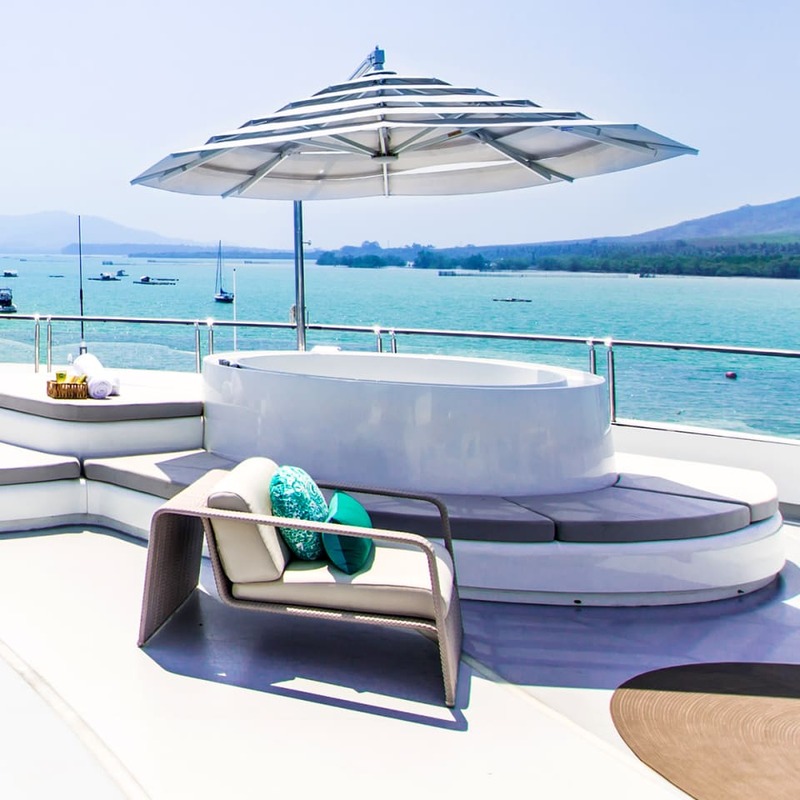 Six VIP guest cabins are situated on the vast, 494 sqm upper deck. 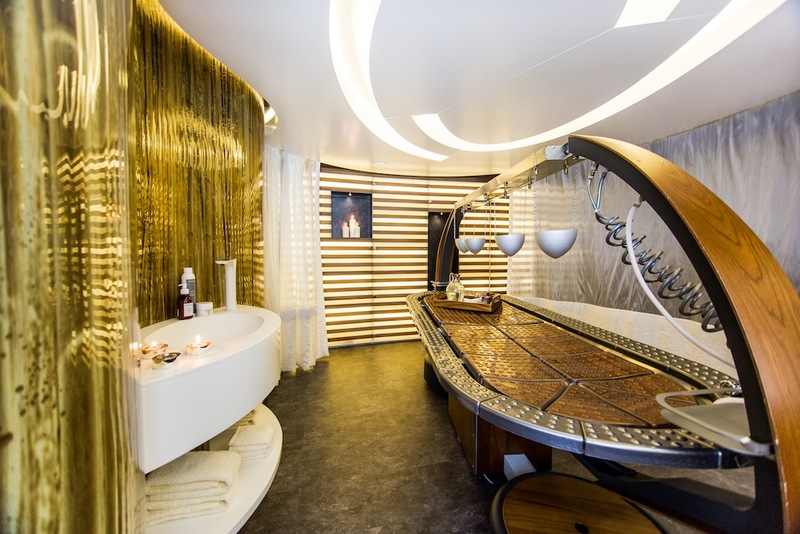 Here we have another lovely saloon for social gatherings, as well as a Wet & Dry spa and a gymnasium for guests’ wellbeing and comfort. 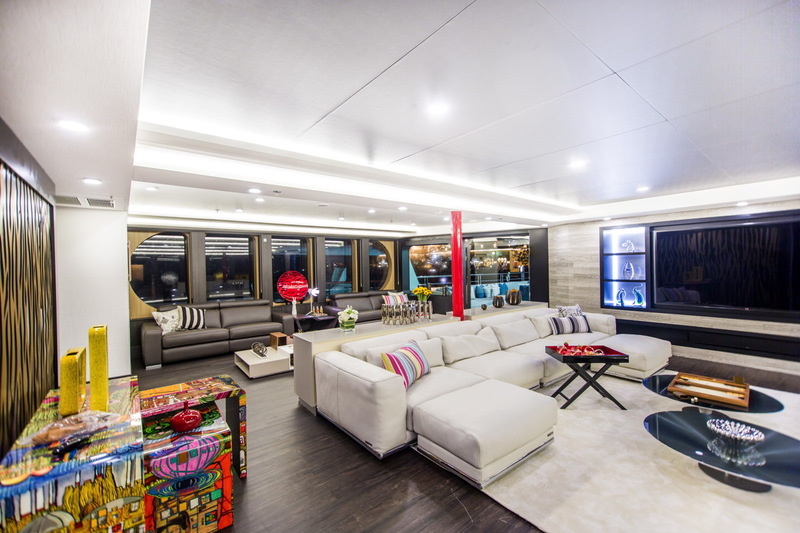 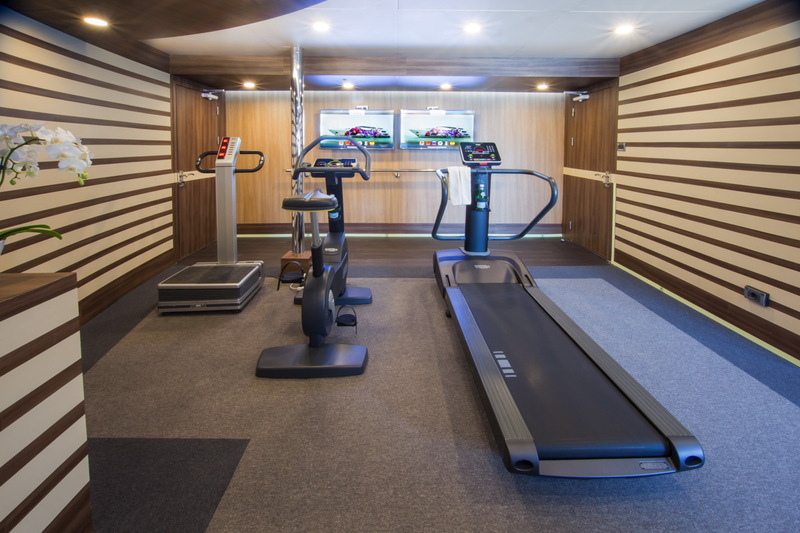 The engine room, the garage and the crew quarters are located on the lower deck, to provide all guest aboard motor yacht SALUZI with privacy. 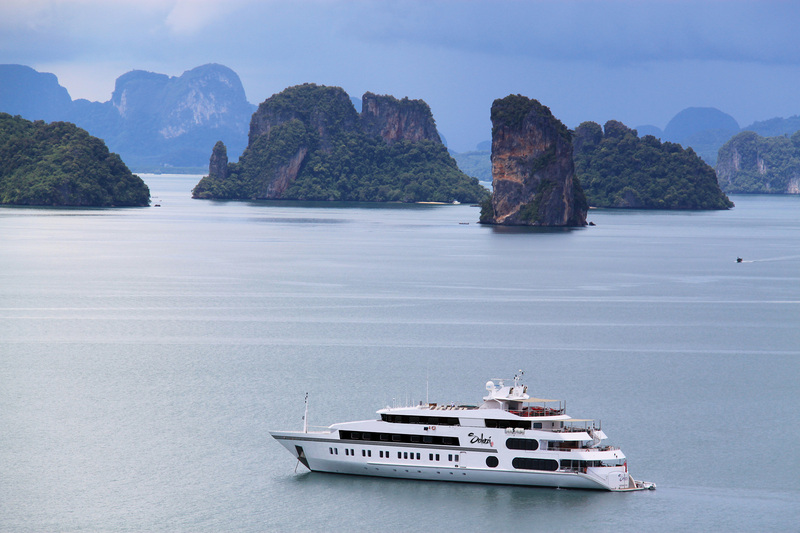 Outstanding and professional service aboard this spectacular vessel is ensured by an experienced and numerous crew of 32 members. 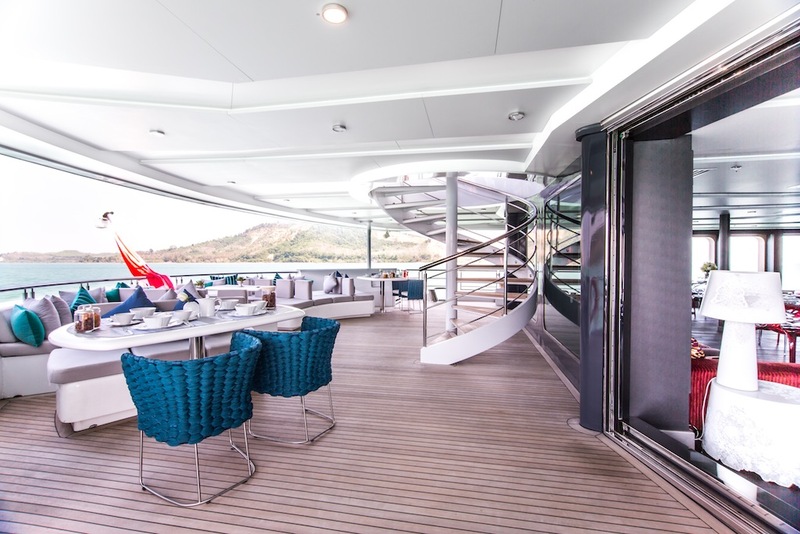 Twin MTU 16V 2000 M60 diesels can propel the 69-metre luxury yacht Saluzi (ex Tia Moana) to the comfortable cruising speed of 16 knots. 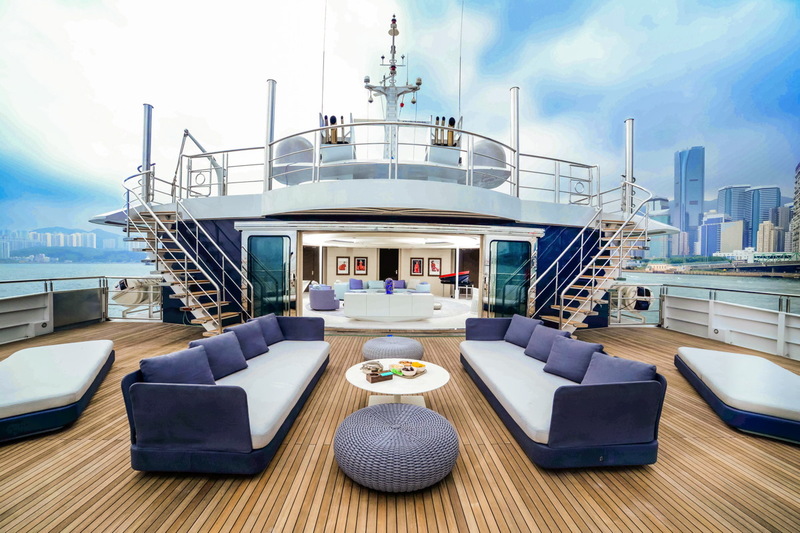 Bureau Veritais classed, she has a beam of 13,80m (45'28'') and a maximum draft of 2,20m (7'22'). 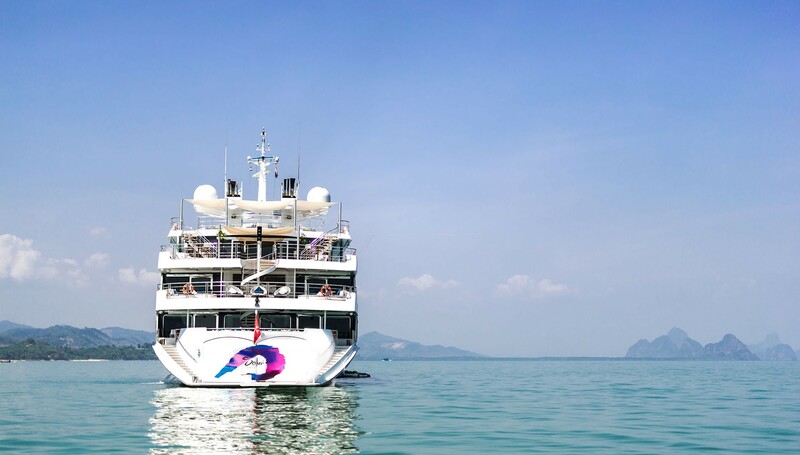 According to a Chinese legend, Saluzi was a warhorse of Li Shimin, the Emperor of Tang, while fighting against Wang Shicong in Mangshan Mountain, in Luoyang. 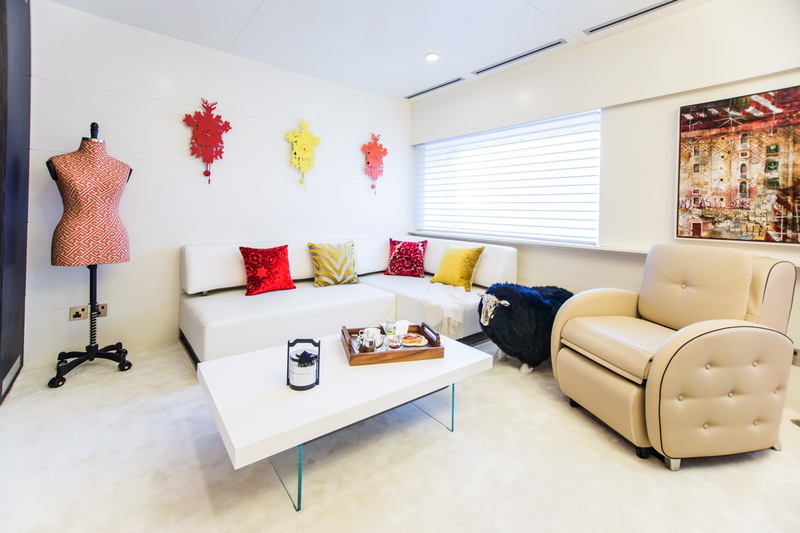 In the middle of the ferocious fighting, Li Shimin was separated from his soldiers, and SALUZI was shot by an arrow. 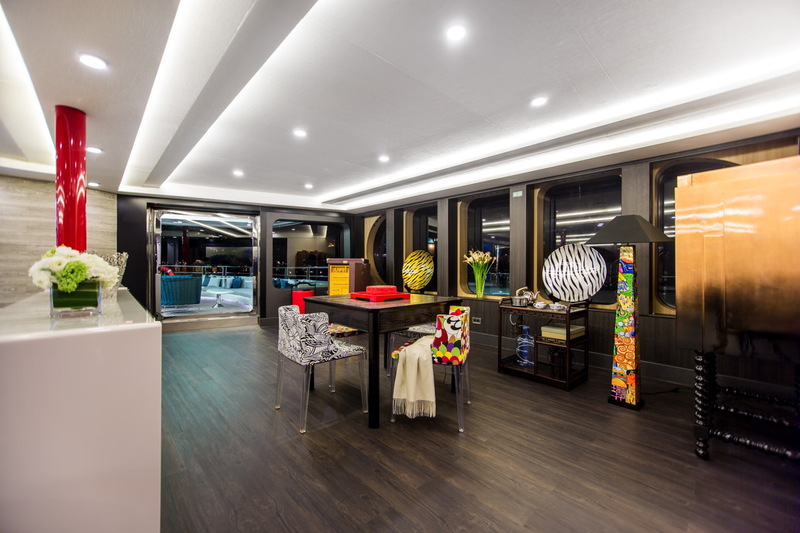 Despite his wound, Saluzi managed to carry the Emperor to safety and become a Chinese legend. 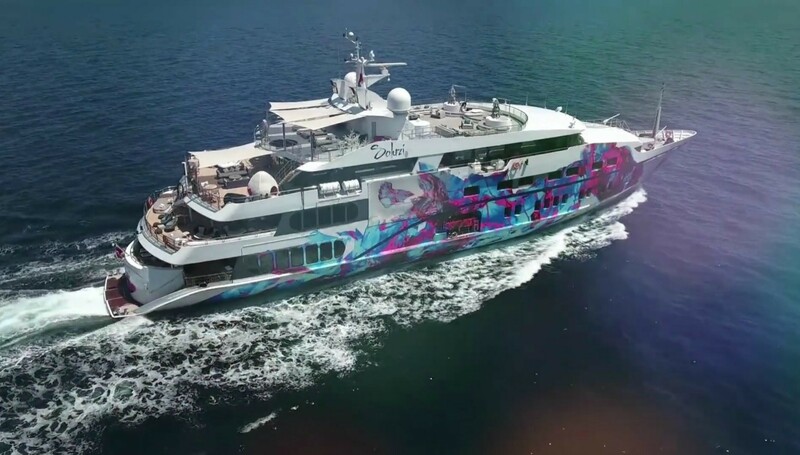 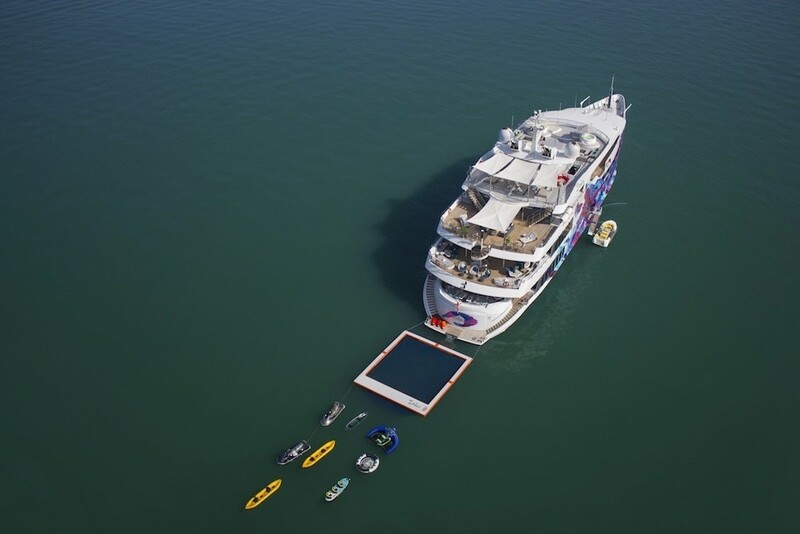 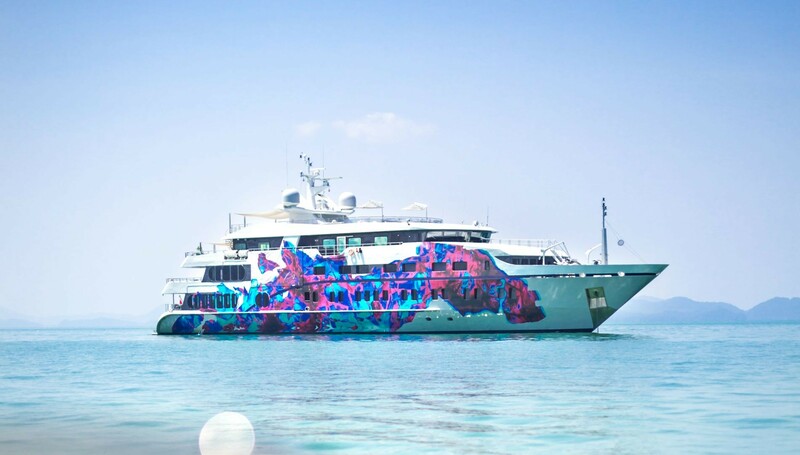 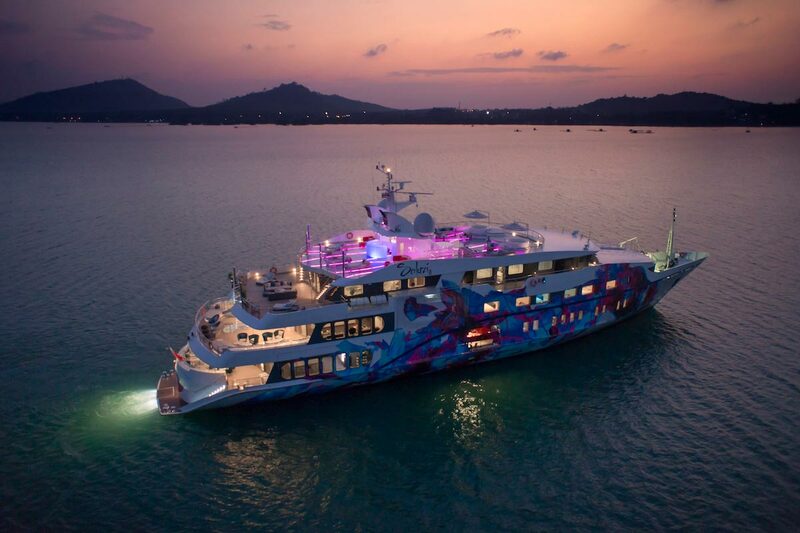 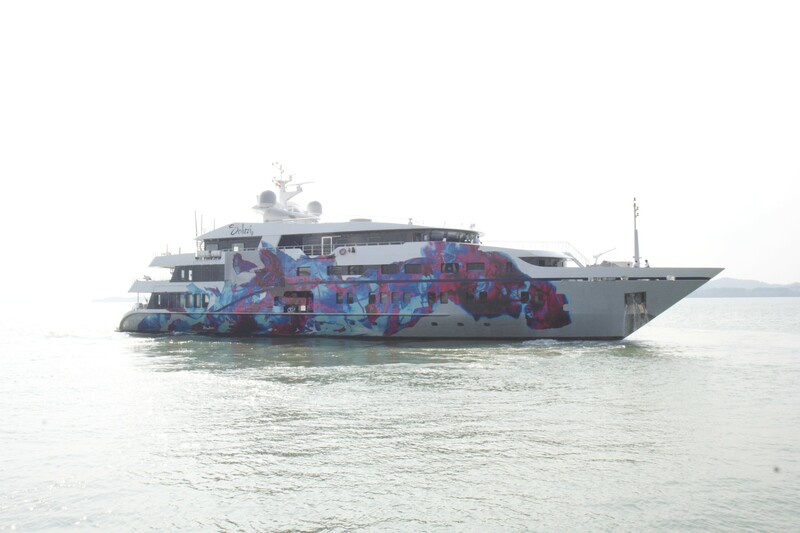 The artwork featured on the hull of luxury superyacht Saluzi was created by the well known Chinese artist, Li Jiwei. 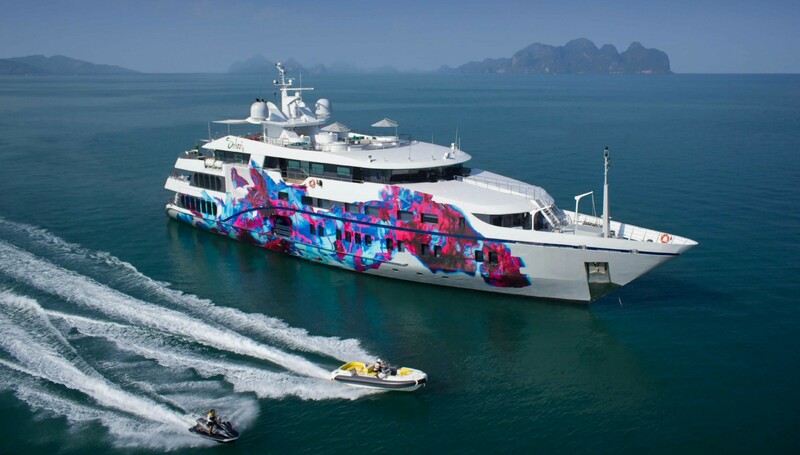 He is a graduate of traditional Chinese Painting at the Central Academy of Fine Arts in Beijing, obtained a Master’s degree in abstract painting under the tutorage of Professor Pachensky at the Academy of Fine Arts in Vienna as well as graduated in Multi-Media at the University of Fine Arts in Berlin. 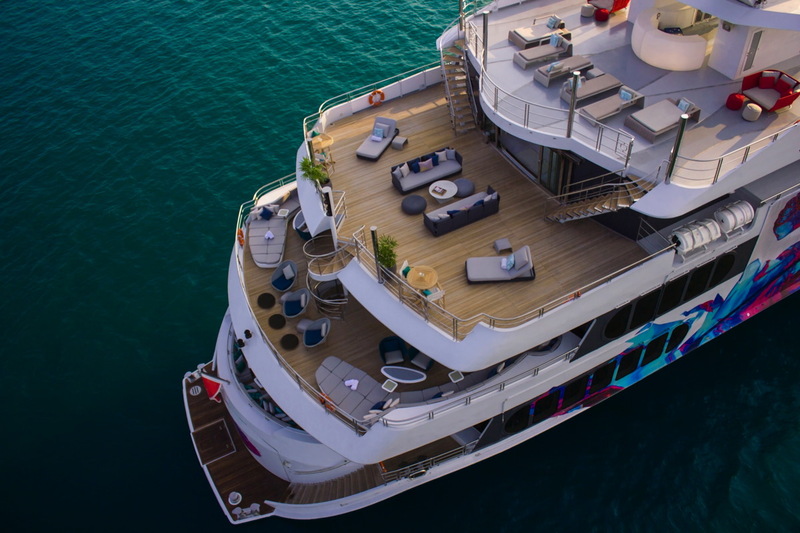 A total number of 32 guests can be comfortably accommodated aboard Saluzi yacht, offering utmost in luxury in 16 magnificent cabins. 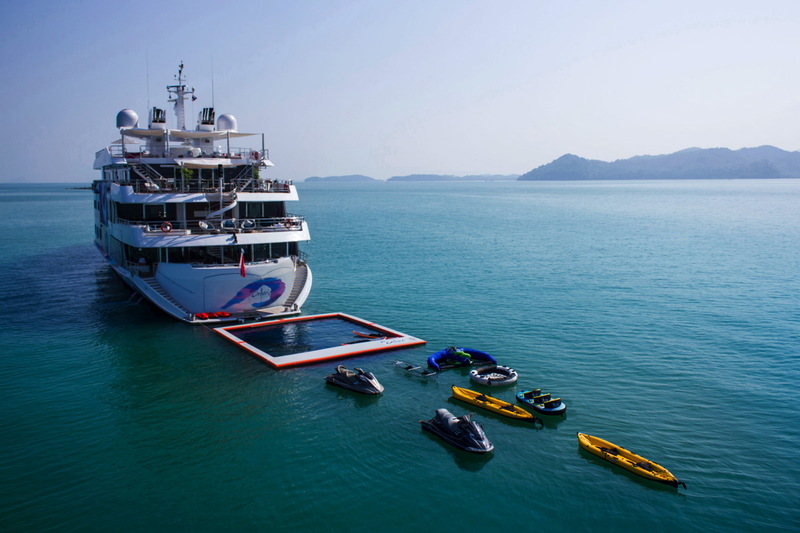 There is also space for the vessel's dedicated and friendly crew of 32 professionals.